MOBILE, AL – Biscuits (44-34) pitching hurled their tenth and eleventh shutouts of the season en route to a doubleheader sweep of the Mobile BayBears (42-36) on Thursday night at Hank Aaron Stadium by finals of 1-0 and 2-0. In the first game, things stayed scoreless into the seventh (and final) inning. Chris Nowak launched a solo homer to left field, and Matt Gorgen (15) came on and worked a perfect ninth inning for the save. Nowak’s homer was one of two Biscuits hits in the first game. In the seventh inning of the second game, Craig Albernaz executed a squeeze bunt to score Drew Anderson, who was pinch running for Henry Wrigley, and break another late scoreless tie. This time, it was Paul Phillips (6) collecting the save in the bottom half. Both Biscuits starters were fantastic, with Jake McGee striking out eight over five scoreless, allowing just three hits in a no-decision in game one. 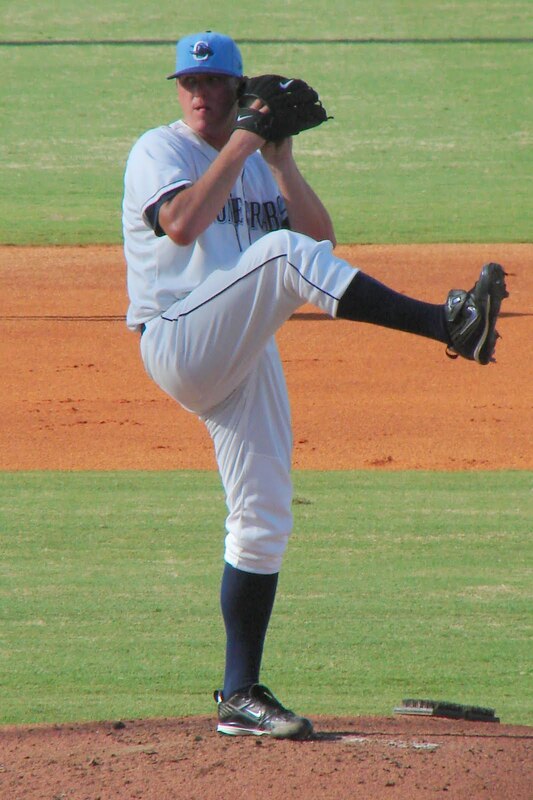 Alex Cobb tossed 5.1 in the second game and gave up just two hits. Dane De La Rosa, Josh Satow, Gorgen and Phillips combined for 3.2 scoreless relief innings on the night, with De La Rosa (5-1) and Satow (1-0) picking up wins. Game one starter Josh Collmenter (5-2) suffered the loss while striking out ten and allowing just two hits in a complete game effort. Leyson Septimo (2-2) was the game two loser. Wrigley was the only Biscuit to collect multiple hits on the night, going 2-3 in the second game. LHP Alex Torres will toss on Friday at 7:05 against LHP Pat McAnaney in the fifth of six. How awesome is McGee now. I can't wait I'm going to be up in Montgomery next Wednesday. Hopefully, he'll be on the mound. I've seen him throw already I kind of wanna see Torres instead.